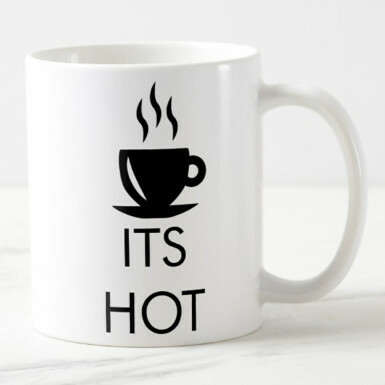 Here is a special mug for your hottest person. This white color mug is always loved by everyone and sure to be loved by your hottie one. If you are looking for a wonderful gift then this mug is for you. The words "It's Hot" printed on it will surely be admired by your loved ones and bring a sweet smile to their face. So, go ahead! Place your order for this Mug for Hottest Person and create new memories by gifting it to your dearest ones.